Here’s information for August about the phases of the moon and signs of the zodiac. General Tips for dark- and light-moon activities are below, and for veggies when it comes to planting, it’s above-ground producers in the light phase and below-ground producers when the dark phase is in, preferably when fertile signs are in force and not when killing sigs rule. And never plant when the ground is wet! August begins with the dark moon in force and rules until the new moon – or no moon visible in the sky – arrives at 5:58 a.m. Aug. 11. The light moon is then in force until the full moon returns at 7:56 a.m. on Aug. 26. Ideally, check the signs and plant when one of the fertile signs rules. 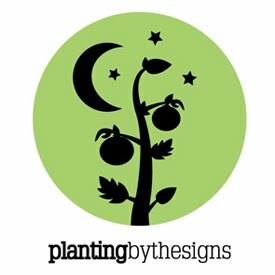 Don’t plant when the killing signs Aries or Leo are in force, no matter the moon’s phase! Remember: Check to see if the moon is in the light or dark phase (information above) before proceeding with any planting - in a greenhouse or indoors as well as in the garden - or other activities. If you can only utilize one aspect of this system – moon’s phases or zodiac signs – I would suggest following the phases. August begins with a killing sign in force. So that’s where we will begin, too. Killing signs: No planting, transplanting, or dealing with things you want to thrive should occur on these days. Reserve them for cultivating, cleaning out fencerows, plowing your plot — anything but planting. Here’s when they rule this month: Aries (the head), Aug. 1-2, 28-29; and Leo (the heart) Aug. 10-11. Six killing days this month, up from four in July. Taurus (the neck) rules Aug. 3-4, 30-31; all dark moon; Cancer (the breast) Aug. 8-9, dark moon; Scorpio (the secrets), Aug. 16-17, light moon; Pisces (the feet), Aug. 26-27, light moon. There are 10 days this month ruled by the most fertile signs: Scorpio, Pisces Taurus and Cancer, down from 13 last month. Six are with the dark moon ruling and four with the light moon in force. Gemini days: Gemini (the arms) rules Aug. 5-7, all with the dark moon in force. According to the planting chart, that’s getting a little late for snap beans, but if you have the space and the inclination, I’d plant anyway if you have the space and inclination. They should have time to grow and produce. Flowering days: Virgo (the bowels), rules Aug. 12-13, and Libra (the reins) is up for Aug. 14-15. There are four flowering days in August. Flowers planted when these signs are in force should bloom and do so abundantly. So-so days: These aren’t particularly fertile nor destructive, just so-so. Sagittarius (the thighs), August 18-20; Capricorn (the knees), Aug. 21-22; and Aquarius (the legs), Aug. 23-25. There are eight days in August ruled by the so-so signs. We’ve talked extensively about how these days, when they occur in the dark phase of the moon, are ideal for making changes. Unfortunately, that’s not the case this month with the light moon in force the entire time the so-so signs are ruling. Making changes: If you have changes to make like stopping smoking, starting a diet or exercise program, weaning small children or animals, scheduling elective surgery – anything that requires making a change – do it when the moon is in the dark phase and the signs are going out of the body beyond anything that functions. As I mentioned above, unfortunately there are only two days this month that perfectly fit that formula, down from eight in July. Those days are Aug. 26-27 when the moon is in the dark phase and the sign is in Pisces (the feet). Pouring gravel: If you have gravel to pour on a drive or road on your farm, do that when the light moon rules, which is Aug. 11-25. The same applies for stones on a garden path: Place them when the moon is in the light phase, so they don’t sink. If you’re setting fence posts, do that in the light phase of the moon so the posts don’t sink.